How can a small to medium organization provide an effective training program that meets these diverse learning styles without plunging their balance sheet into a dark abyss? For starters, you can begin with onsite or public instructor-led training. In this situation, the instructor employs strong demonstrations, hands-on exercises, PowerPoint presentations, white board discussions, and workshops as instructional aids. I have spent the last 14 years as a technical trainer, mostly doing onsite, instructor-led training that focuses on assisting each individual company. My objective is to help the student achieve his or her educational goals for all my classes. What I enjoy about a live, instructor-led training event is the interaction that takes place between the students. I can read their body language to determine how they are doing in my class, and I can see up front when that knowledge transfer finally happens. Have you ventured into the world of online training? You can start with a simple delivery such as taking your live, instructor-led training to GoToMeeting or Webex. Being able to engage your audience in the online world is one of the most crucial steps for success. Holding someone’s interest can be difficult if he or she is multi-tasking during the training session. The option for self-paced, computer based training is becoming the preferable method. "Self-Paced, Computer Based Training" is a process of learning that is not executed in the traditional manner one would find in the educational environment. The student is, in effect, trained by various forms of technology. Oftentimes, this method of learning can be much more effective than the practice of teaching and learning in classrooms because the student, if working alone, can set his or her own speed of learning while interacting with the course material. For me, finding the balance between too little and too much interaction makes a big difference. Particular topics require different levels of interaction. In that regard, I have found online training to be more challenging. There is definitely more preparation involved. For example, I tend to ask more specific questions about the company and students’ business problems to create an engaging discussion on how we can assist them with customized solutions. I also make sure that for online each class, I include a list of various types of questions that I may not normally ask during the preparation of an instructor-live training. Would a self-paced, computer-based training course be better suited due to logistics and geography of users? What technology will you choose from and how will it be leveraged? 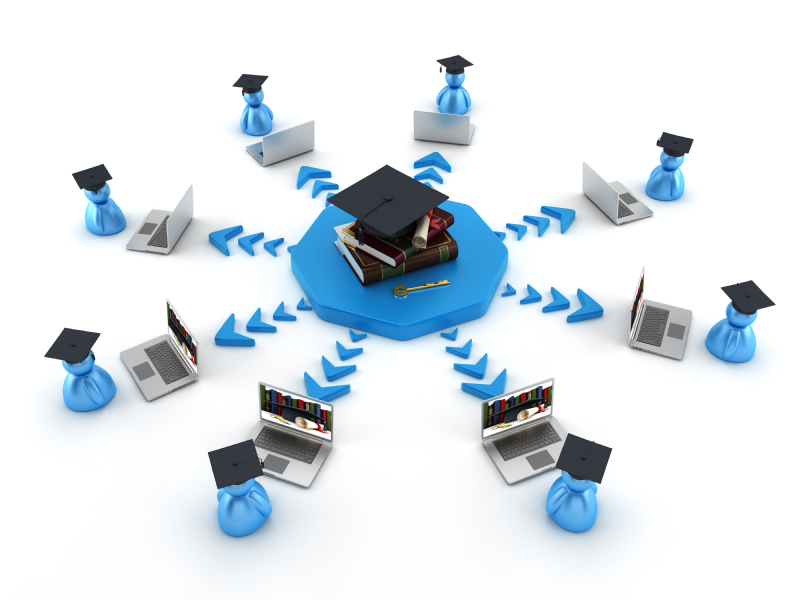 What Learning Management Software will you choose from out there in the sea of plenty? How about the tools to create the course, how will you record audio and video demonstrations and make it interactive? That’s my approach. What about yours? How will you approach the future training practices of your organization? To learn more about QueBIT’s Training Offerings, contact the QueBIT team today!